OK, so I was exaggerating a little bit. They might not change your life, but they may reduce studio related hair loss. Most of the short stereo bars I’ve used have been junk. They usually have two mounts on the same horizontal plane. Sometimes the width is adjustable but the height rarely is. The problem with this is that either the mics are too narrow for ORTF or the cables get in the way. Setting up XY or ORTF on two separate stands can be equally awkward. 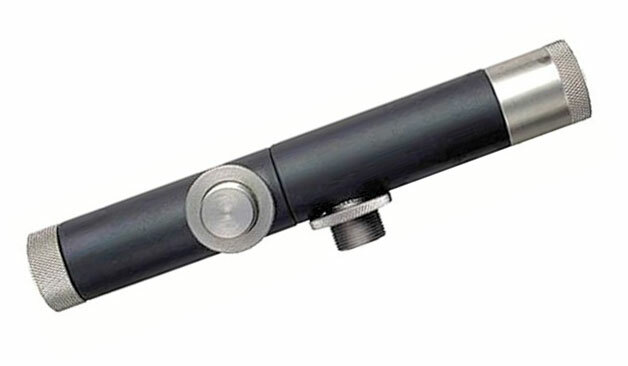 After a lot of searching for a better stereo mic bar I found the relatively unknown Shure A27M. I was intrigued by the simplicity of the A27M right from the start. The difference with the A27M is that it is designed to hold the mics on an offset vertical plane while still allowing the capsules to be aligned. 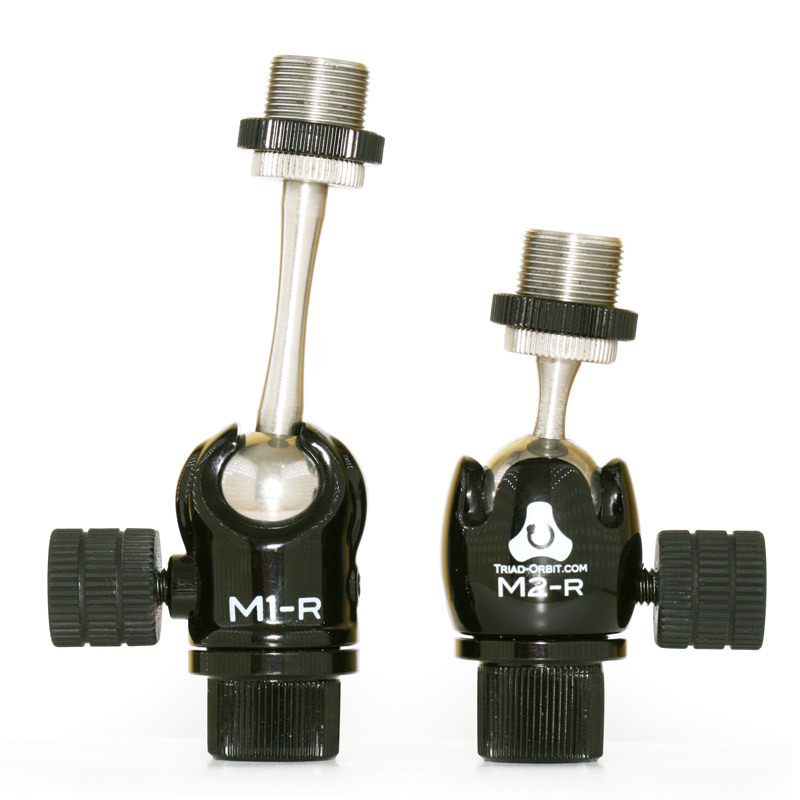 Both height and angle are adjustable with the A27M which make it compatible with just about any size mic in coincident or near-coincident stereo techniques such as XY and ORTF. The Shure A27M is a simple but brilliant bit of recording gear. It’s a vertical stereo bar consisting of four parts. 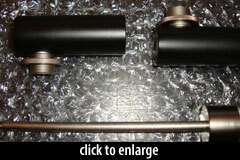 The two flat-black mic mounts sit on a metal rod and are secured with a knurled metal knob. There aren’t any washers or rubber grommets to lose. 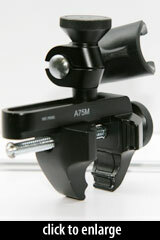 The mic mounts are free to rotate on the rod, setting your microphone angle. By unscrewing the knob from the rod, the mounts can be flipped around to alter the mount separation from 1.25'', to 2.625''or 4''. The position of the black sections is held only by the snugness of the knurled knob. I tested the effectiveness of this by positioning two of my large diaphragm condensers in XY above a seated guitarist parallel to the floor. The weight of the mics did not cause the angle to narrow, nor did they crash into each other. If the ends of these pieces were textured slightly I think this would be a further improvement, but it already performs very well in an overhead horizontal position. This would be an ideal mount for over a drum kit. The A27M comes in a simple white box with the device bubble wrapped, a reusable plastic cable clip, and a one-page instruction sheet. Build quality is excellent, solid and sturdy weighing in at 387g. When using the A27M upright in front of an instrument, such as acoustic guitar, I did have to take some care with using heavy mics as the torque would cause one to loosen and sag, not an uncommon problem. Basically when you set up a mic you always have the stand on the left and mic on the right, the weight of the mic keeps it tight on the stand. If you go the opposite way, the weight of the mic loosens the grip on the stand and it drops. The locking threaded nut helps a lot but not as much as a reversed thread would (I’m guessing). For coincident and near coincident miking simplicity, the A27M is the best short mic bar I’ve ever used. Ever needed a second mic on one stand? Sure. Ever needed a mic in a tight space where stands just won’t work? Probably. 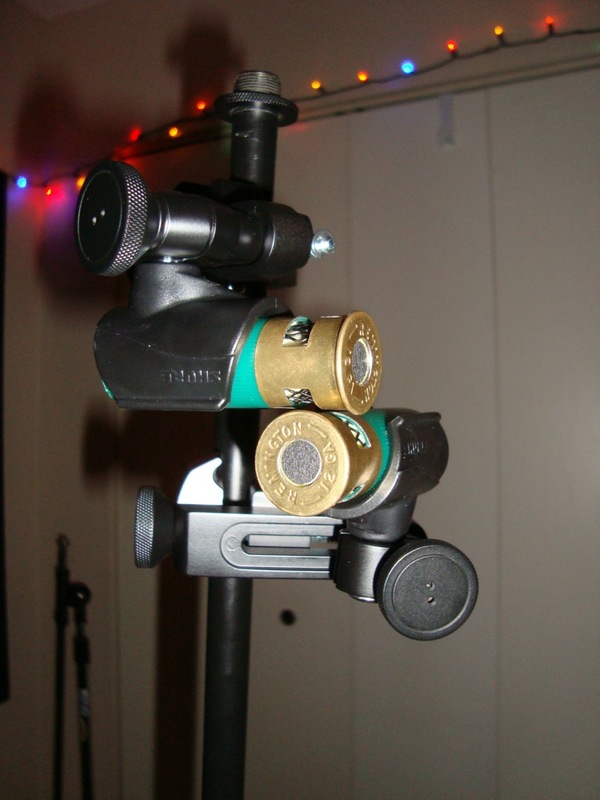 Ever needed a mic clamped onto a chair or lamp when you’ve run out of stands? Well the A75M can do that too. 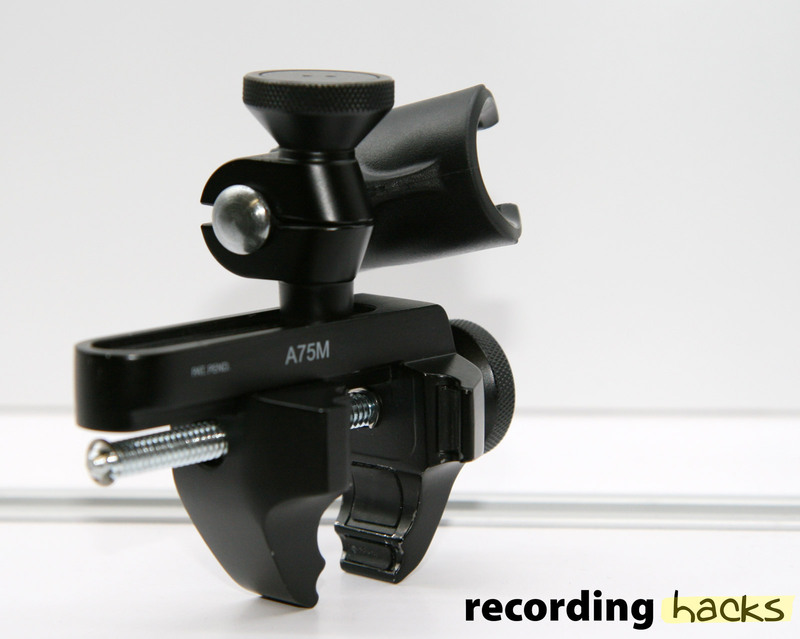 The Shure A75M is an adjustable clamp style microphone mount that allows you to put a mic just about anywhere. There are several other clamp mounts out there and I feel the Shure stands out from the rest because of the quality of construction and attention to detail. All-metal construction and finished in flat black, the A75M surprised and impressed me. I say surprised because I didn’t know I needed these until I had them in my hands. The A75M ships with a ton of bubble wrap in a plain white box and consists of a clamping jaw and set of three interchangeable mic mounts. 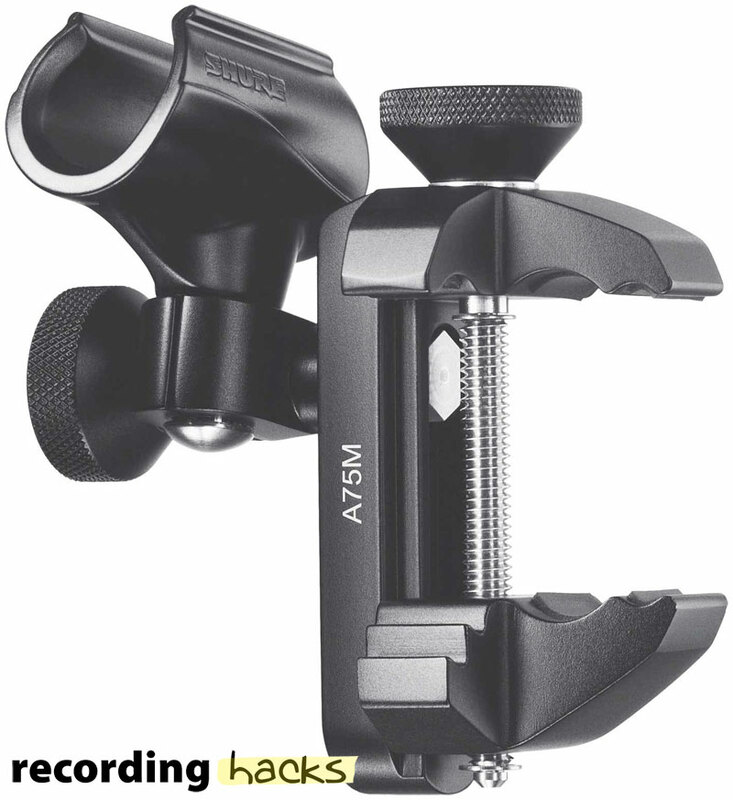 Clamp: The universal clamp opens 1.75'' (44mm) and has two rubber coated grooves to grip a mic stand or other surface. Turn the A75M around and you find a smaller jaw more suitable for drum rim mounting. This jaw has a slightly longer maximum opening of 2'' (51mm). 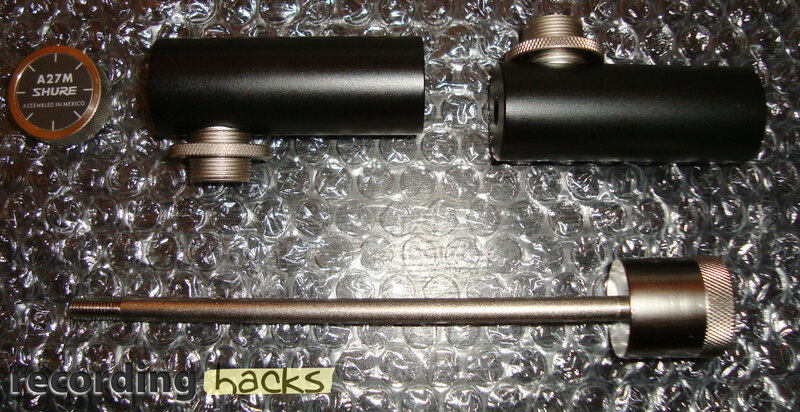 The jaw tightening is via round knurled knob on a threaded rod. A silver button on the side will release the threads for quick adjustment. This feature makes clamping to any surface incredibly quick. 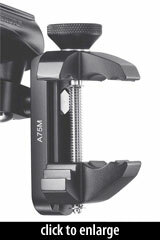 Mic Mounts: The A75M comes with three microphone mounts, a 25mm clip for SM57s and other dynamic mics, a 20mm clip for pencil condensers, and a standard threaded mount for any other mic. 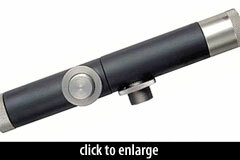 The interchangeable mounts can be positioned in 3 ways then locked with the second knurled knob. Up/Down (or Forward/Back depending on orientation) adjustment is available within a range of 1.75'' (45mm) as well as Horizontal and Vertical adjustment in 360° are locked in with the single knob. Again, this works excellently. You’ll never need to move a stand for micro adjustments to mic position or compromise on a position at all. 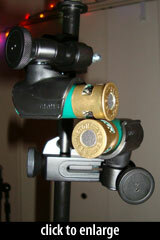 Shure suggests using these around a drum kit, clamped onto a drum rim, or on a cymbal stand for underheads. I was not able to test these on drums but they should also do well for securing an under snare or under floor tom mic. With a pair of these I found them very handy elsewhere in the studio for similar uses as the A27M, or attaching several mics on a single stand for a shootout. For an acoustic guitar recording I was able to set up a pair of mics in AB stereo at the exact height I wanted by attaching these to the vertical pole of a pair of stands. I found this to be much easier than attaching the mics to the boom arm, extending it and lowering it down, and it took up less space as well (when you do everything in one small room this is important!). The last thing to mention is that Shure includes an A75M with the Beta 98AMP, a gooseneck electret condenser released in 2010. After trying out the A27M and pair of A75M for a few weeks, I’m left with a tough decision of which to send back. I would love to have them all but for now I’ll be paying for the A27M and putting the others on my wish list. For those who don’t know Jon, be sure to check out his blog at AudioGeekZine.com and the Home Recording Show podcast. If you’re shopping for mic accessories, please support this site by purchasing from the links below. Next: The Best Voiceover Microphone … Ever? I’ll vouch for the A 27M… mine are 30 years old (!) and still work perfectly. If you do a lot of work involving stereo mic pairs or just want to place two mics close together then you need an A 27M. It’s versatile, easy to use, and built to last. Highly recommended. I used the A27M in the Beta 181 review here on RH. I really liked it and believe it to be quite well built. I would like the locking washer to have a larger outside diameter. I found it to be a little difficult to get at, because the Shure mic clips have a larger outside diameter. This is a VERY TINY gripe, it’s a great tool none the less.